Presenting a unique and thoughtful present on Valentines Day is the perfect way to show affection to the man you share your life with. However, choosing Valentines gifts for your husband can be arduous and time consuming, especially as this is the one gift each year you need to get right! Choosing a gift for Valentines day is one of the very few occasions each year that you have the opportunity to buy a quality gift that will last a lifetime. This gift should impress in years to come, just as much as it did on the first day. Wilde & Harte shaving gift sets are available as a traditional shaving set gift, or a contemporary shaving set gift. The British Government endorsed Made in Britain campaign marque, is accredited to businesses who sell goods that have been manufactured in Great Britain. Successful applicants — such as Wilde & Harte — have submitted written evidence supporting that products have been genuinely designed and manufactured in the UK. Each razor and shaving brush is polished to an impeccable mirror finish by skilled stainless steel finishers. Choose from real badger hair shaving brushes or vegan friendly synthetic fibre shaving brushes. 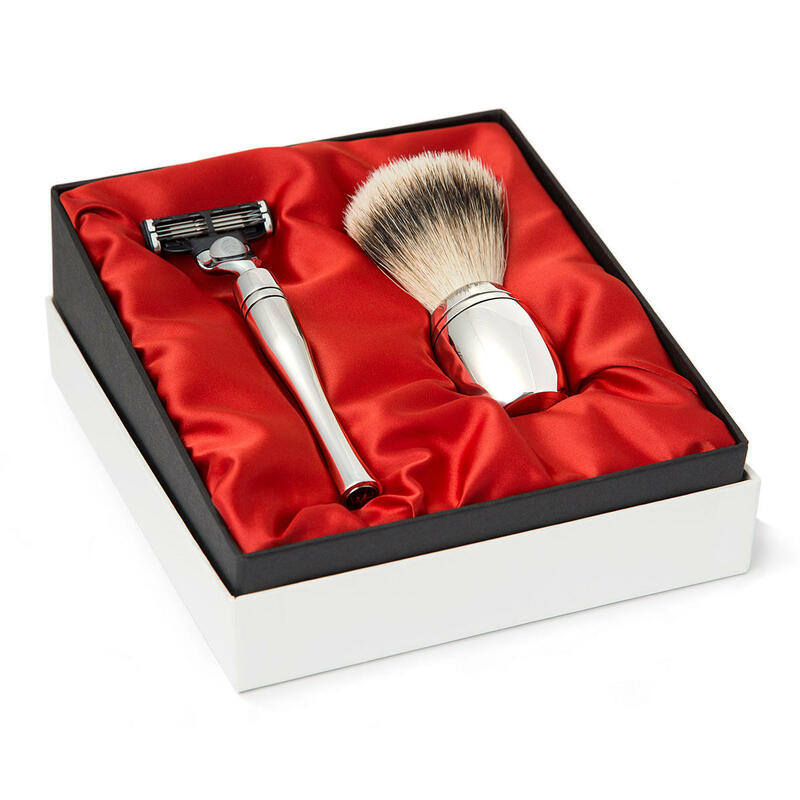 Each shaving gift set comprises of a sateen bedded handmade gift box. You may also purchase matching razor stands, shaving brush stands and leather razor pouches. Need help choosing the correct razor or shaving brush? Then please read our shaving set Gift Guide. Want to know more about Wilde & Harte? Learn more about our Grooming Collections, inspired by the grandeur of iconic houses and palaces in London, or read our story.